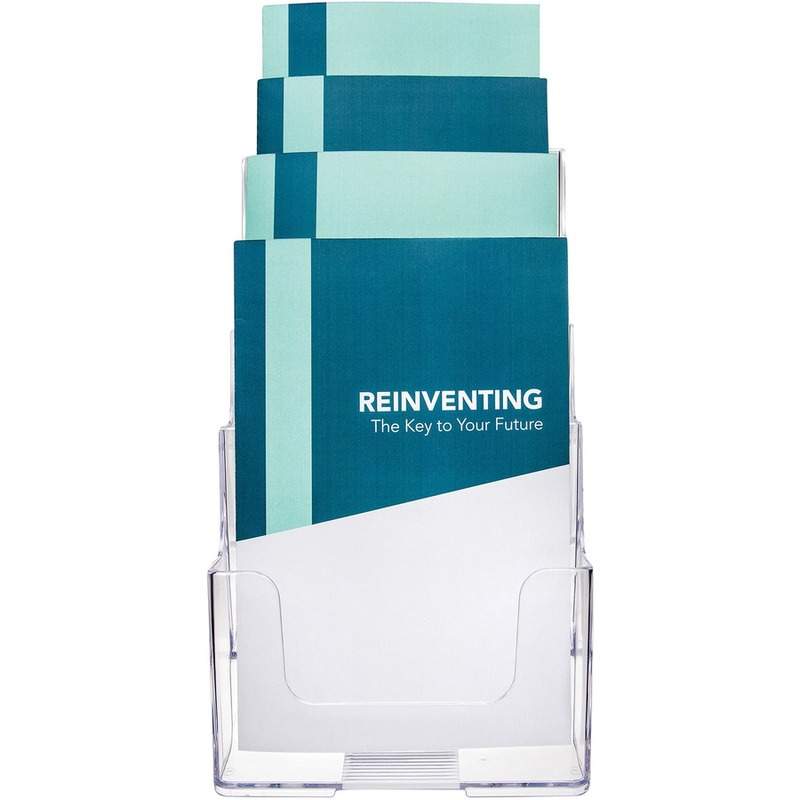 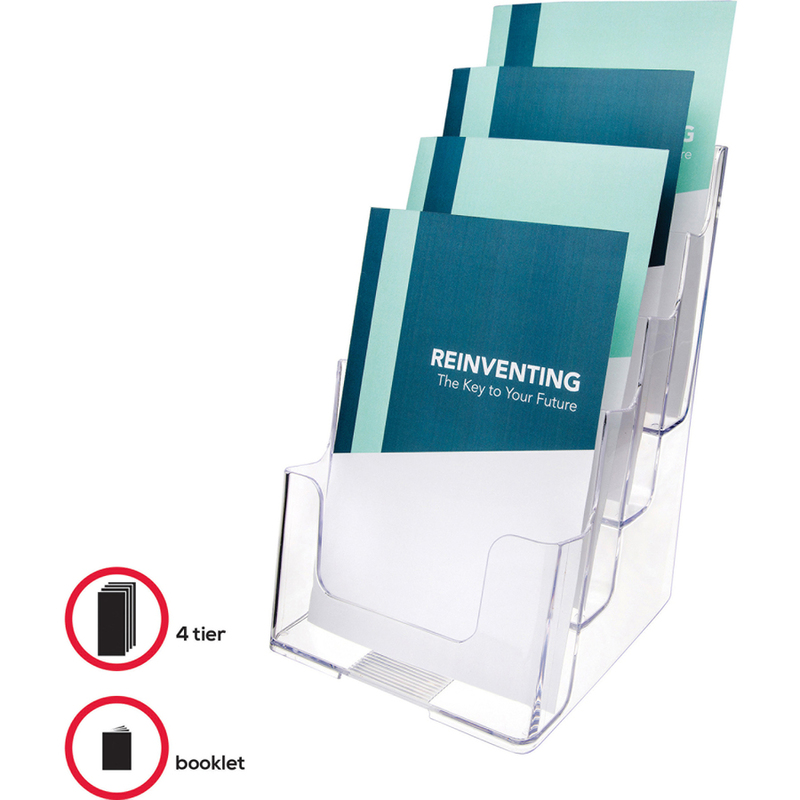 Document holder offers a compact size that saves tabletop space while displaying a variety of literature in four 6-3/8" wide brochure-size pockets. 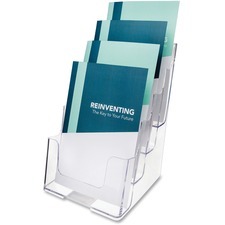 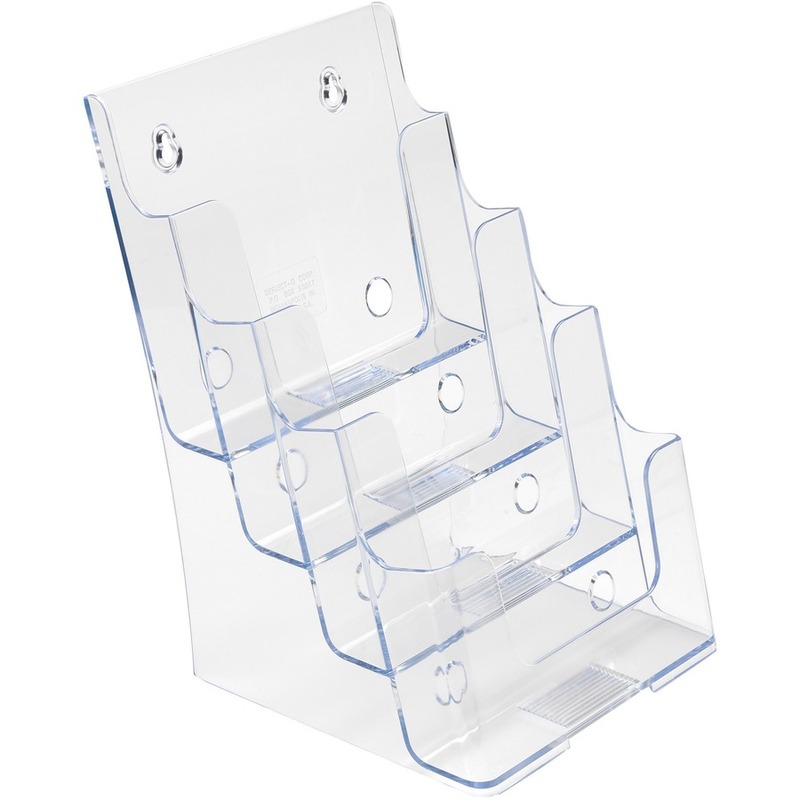 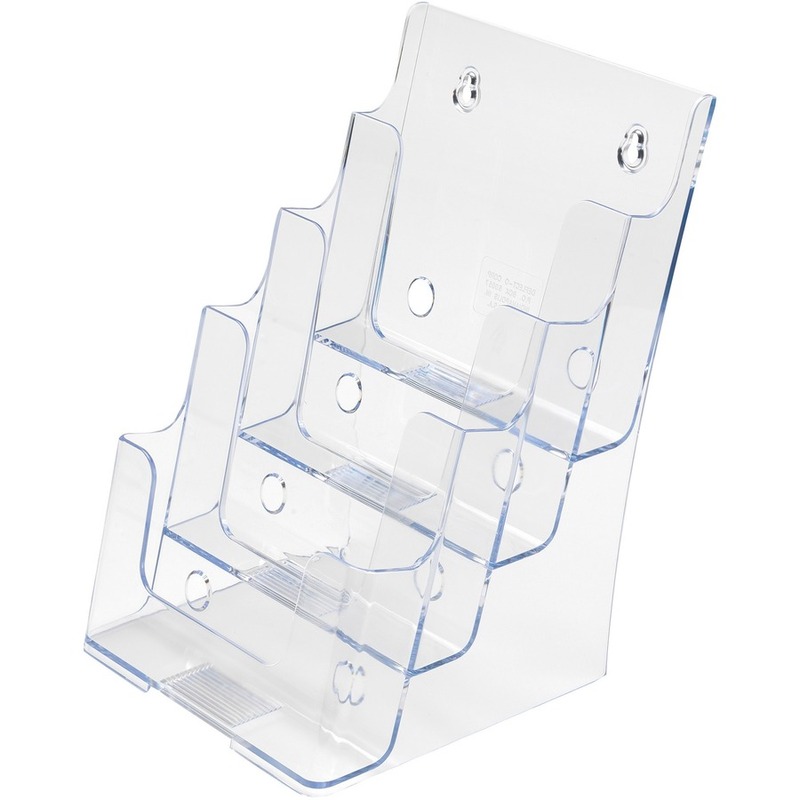 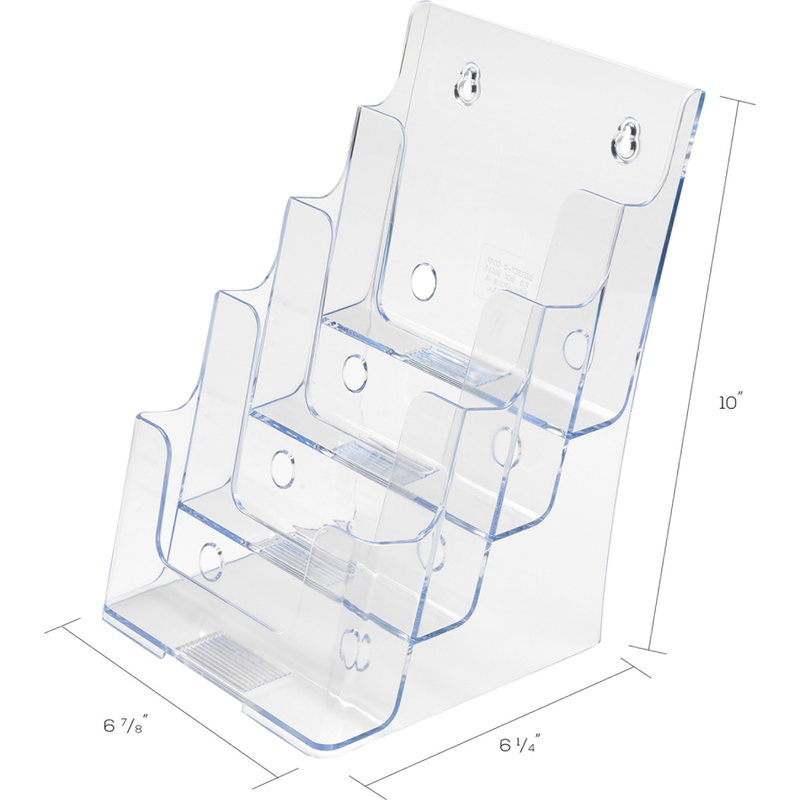 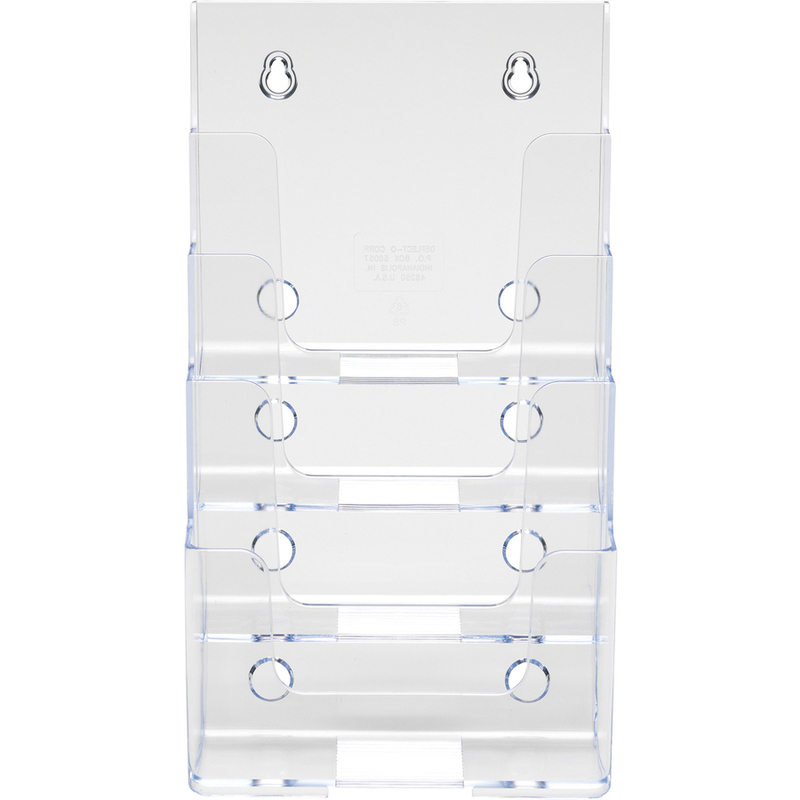 Four compartment document holder is made of clear durable plastic. 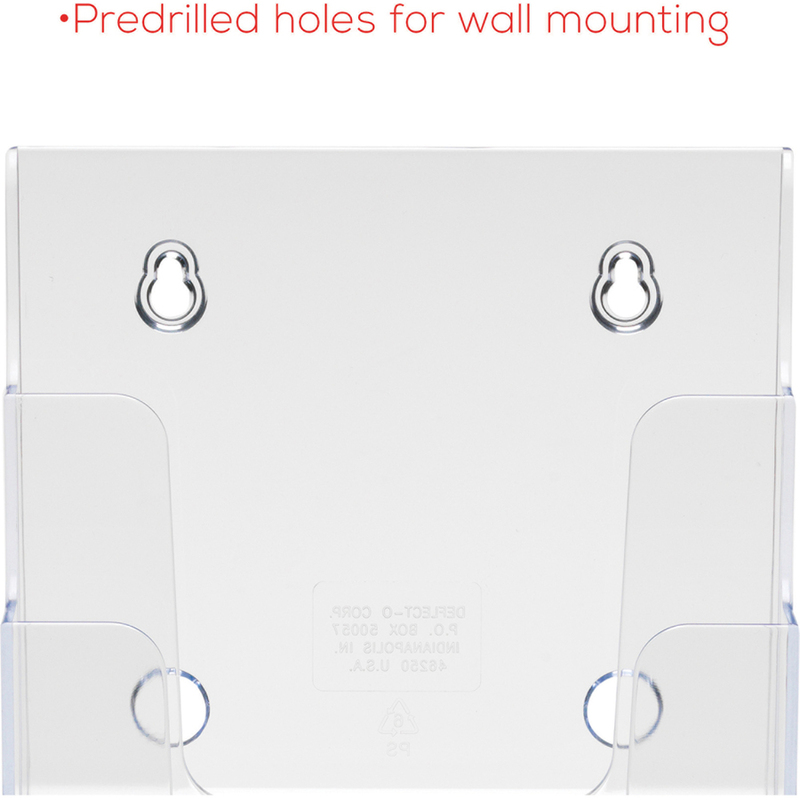 Use freestanding or mount to wall.